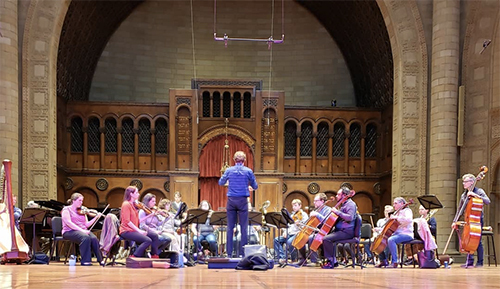 The Apollo’s Fire concert on Friday, February 9 at St. Paul’s Episcopal Church in Cleveland Heights, “Three Duels and a Wedding” — with a surprise — highlighted three double concertos and the well-known Wedding Cantata by J.S. Bach. First, about the duels. The concert opened with Georg Philipp Telemann’s Concerto in e for flute and violin. 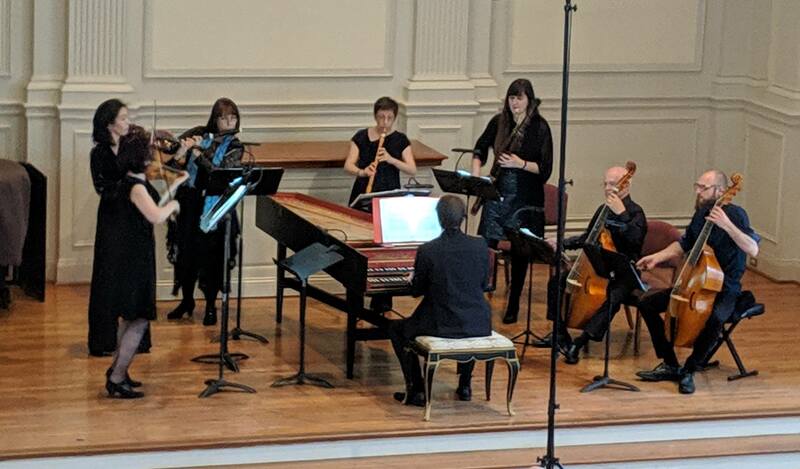 Flutist Kathie Stewart’s pearly tone and concertmaster Olivier Brault’s joie de vivre were excellently complemented by harpsichordist/conductor Jeannette Sorrell and the ensemble. 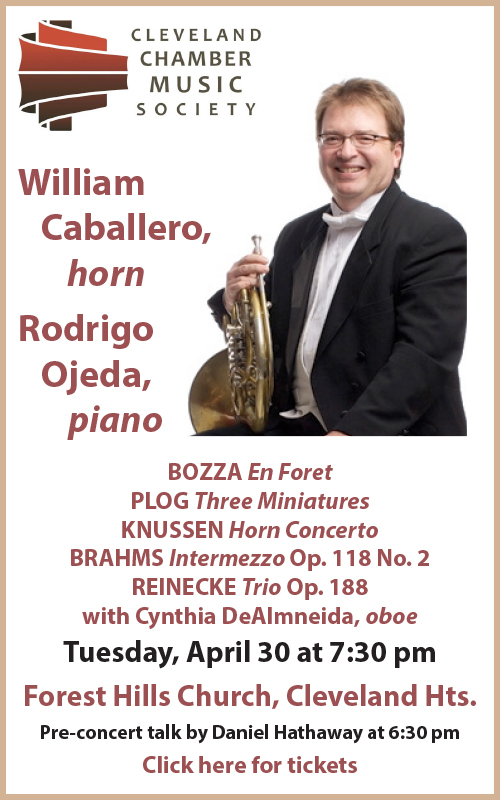 Their highly dramatic reading of this quirky concerto — unusually, the last movement has three distinct rhetorical sections — showed Telemann’s hidden virtues as a composer. Apollo’s Fire brought gusto and verve to the fast sections and lovely atmosphere to the pizzicato-based slow movement. The interpretational details were stunning, turning this little-known work into a fiery brew. As for the surprise, one of the two viola soloists for Bach’s Brandenburg Concerto No. 6 withdrew due to illness on two hour’s notice. 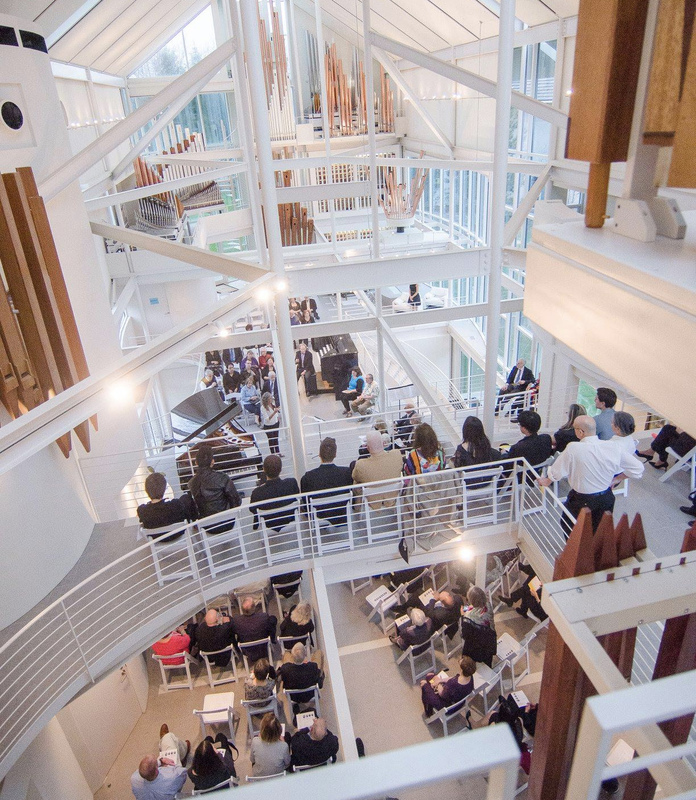 In lieu of the Concerto’s first movement, René Schiffer played the Prelude, Sarabande, and Gigue from Bach’s Second Cello Suite with a burly eloquence, and Brault borrowed a viola to join Kristen Linfante in the two remaining Brandenburg movements. Outside of a few imperfectly tuned notes, Linfante and Brault brought silvery shape to the hocketing viola lines, and the ensemble was exquisite. Bach’s Concerto for oboe and violin featured oboist Debra Nagy and violinist Johanna Novom. Nagy’s warm tone melted like butter and Novom gave an equally sensitive and bravura performance. The deft lightness of Apollo’s Fire was in full effect throughout. 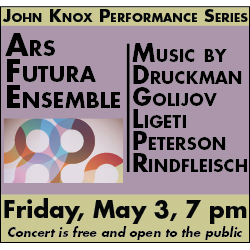 Well-chosen tempos, the use of rubato (especially Nagy’s solo lines in the slow movement), and the always-moving, dancing lilt made this performance especially enjoyable. But as much fun as duels are, you couldn’t really beat the wedding that ended the first half. The joyful daze instilled by this celebration of love shows the power of Jeannette Sorrell’s focus on bringing music’s emotional content to the fore. As she noted, Bach’s Cantata No. 202 “Weichet nur, betrübte Schatten” uses the beginning of spring as a metaphor for love and then claims that love is better than spring, because, done well, love never ends. 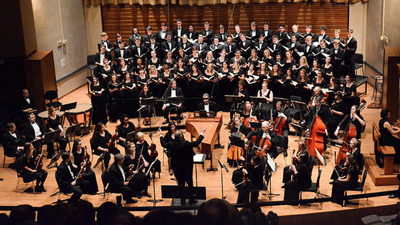 The Cantata featured soprano Amanda Forsythe and three instrumental soloists: Nagy, Brault, and Schiffer. The instrumentalists showed themselves to be sensitive virtuosi, playing with and against the soprano’s holistically detailed performance. Forsythe, in a word, was astounding. Her German diction was immaculate, her phrasing both finely controlled and utterly entrancing, her tone glorious in all registers. 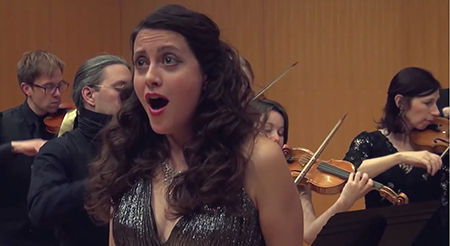 She navigated Bach’s elaborate vocal lines with ease, and embodied the music straight from the beginning until the final note from the orchestra. As icing on the cake for this joyous music, Brault and violinist Julie Andrijeski stepped forward and danced the final Gavotte. Bach was never so much fun. Jeannette Sorrell has worked wonders in curating and overseeing an ensemble that plays as if with one mind. Would Bach recognize these sounds as the ones he intended? It doesn’t matter — the results were scintillating. Apollo’s Fire brings this very old music to life as if it were born yesterday. Photo of Amanda Forsythe from an Apollo’s Fire YouTube video. 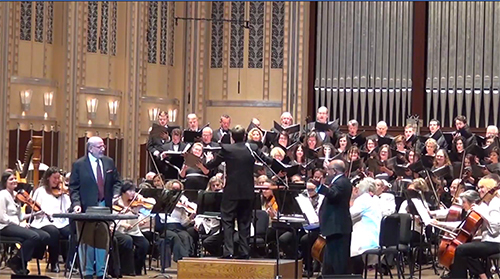 Published on ClevelandClassical.com February 14, 2018.